Britain is need of a ‘huge expansion’ of its EV infrastructure if it is to meet the demand of the growing electric vehicle industry says a new report. There are currently only 14,000 public charging points across the UK to deal with current demand, while most electric vehicles are charged privately. However, research from Aurora Energy Research has found that due to only 60 per cent of households having access to private parking there will need to be up to three million additional charge points required by 2040. These charge points will need to be in workplaces, supermarket car parks and motorway service stations to allow for all drivers to recharge their cars when necessary. The same research believes that there will be 35 million EVs on the road by 2040 and that the cost to fund the additional infrastructure could reach £6bn. Aurora Energy’s project leader, Ben Collie said that the UK had the ability to make it happen, but only if it made commercial and economic sense to all stakeholders. 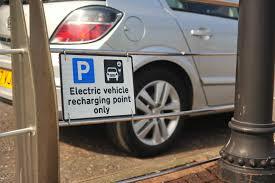 Mr Collie said: “Offering charging points will depend on how much demand there might be. We need about 3 million according to our research in public areas. The RAC Foundation has already reported that the growth in EV car use may be hindered by the limitations of the public network. The impact of the UK’s failure to adapt may have widespread implications, including the country’s ability to meet vehicle emission targets.